Syria's government says Human Rights Watch's claims it used chemical weapons in Aleppo are "fabricated". Syria's government on Wednesday denied claims by Human Rights Watch (HRW) that it used chemical weapons during the recent battle for Aleppo, AFP reported. In a major report released Monday, HRW said Syrian government forces had carried out at least eight chemical attacks in late 2016 as they were fighting to capture second city Aleppo. On Wednesday, a Syrian foreign ministry source said the report was "unprofessional and unscientific" and claimed it was based on fabricated testimony. 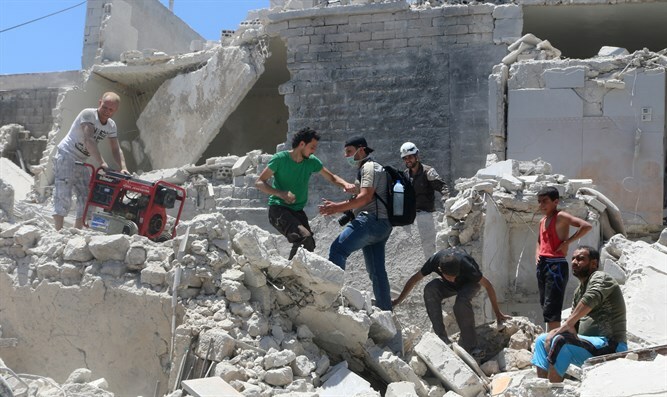 "The government of the Syrian Arab Republic altogether denies the false allegations made in Human Rights Watch's report," the source said, according to AFP. "Human Rights Watch's reliance on terrorist media sources and on fake eyewitnesses... proves this report's lack of credibility," the source added. HRW said it interviewed witnesses, collected photos and reviewed video footage indicating that chlorine bombs were dropped from government helicopters during the offensive from November 17 to December 13. It concluded that nine people, including four children, were killed and another 200 were injured by the toxic gases used on opposition-controlled areas of the northern city. Both the regime of Syrian President Bashar Al-Assad and the Islamic State (ISIS) group have previously been accused of unleashing chemical weapons during the conflict. As part of a deal brokered by the United States and Russia, Syria agreed to hand over its chemical stockpile to the Organization for Prohibition of Chemical Weapons (OPCW) for destruction. Since then, however, the OPCW has determined that chlorine has been "systematically and repeatedly" used as a weapon. In January, the United States announced new sanctions against 18 senior Syrian military officers and officials over the use of chemical weapons.